Following the surprise hit of the rather excellent prequel X-Men: First Class, X-Men: Days of Future Past is an assured entry in 20th Century Fox’s X-Men film franchise – bolstered by director Bryan Singer’s return to the series. 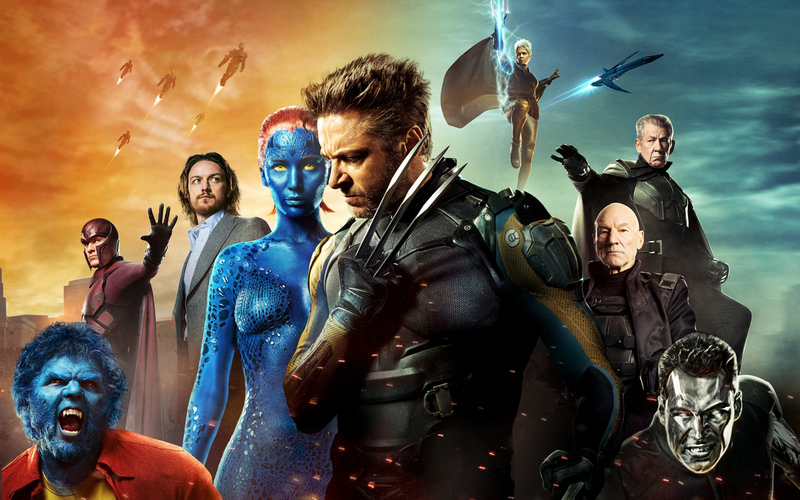 Based on the classic Chris Claremont comic book story (itself adapted for the 1990s X-Men animated series), Days of Future Past successfully melds the X-Men cinematic universe into a relatively cohesive whole by neatly combining the casts of the original X-Men trilogy and First Class to provide an ambitious slice of comic book film entertainment with some laudable dramatic weight. With the narrative set-up by the film’s opening Terminator-esque dystopia, the bulk of DoFP takes place in 1973 with Wolverine (the ever reliable Jackman) on a mission to prevent Raven/Mystique (The Hunger Games’s Lawrence) from assassinating Dr. Bolivar Trask (Dinklage) – creator of the future mutant-slaying Sentinels. To do so, he must unite a withdrawn and despondent Charles Xavier (a suitably dishevelled McAvoy) with former friend and ally Erik Lensher (Fassbender) – aka Magneto. With DoFP, Kinberg delivers a much stronger narrative than X-Men: The Last Stand, no doubt assisted by his collaboration on the film’s story with First Class director Matthew Vaughan and screenwriter Jane Goldman. There’s a lot to take in given the scope of the story and the plethora of characters yet DoFP remains relatively focused and its slow-burn approach allows the viewer to keep up with proceedings. It’s also notable that just as First Class neatly incorporated Cold War zeitgeist into the comic book universe, DoFP also ties in with real-world events and concerns, at least, as they were in 1973. The franchise is once again lead confidently by Hugh Jackman’s Wolverine but that’s not to say others are side-lined. McAvoy and Fassbender continue where they left off in First Class and make use of every opportunity to develop the complexities of their characters’ relationship and Lawrence bring us a more intense version of Raven given the character’s significant role in the story. The film’s biggest surprise though is Evan Peters who provides a healthy dose of levity and fun via his performance as Peter Maximoff/Quicksilver but unfortunately the excellent Peter Dinklage is hindered by lack of exposure and character development and a missed opportunity to deliver a truly compelling villain. Although Ellen Page’s role of Kitty Pride isn’t significantly larger than it was in The Last Stand it’s at least functional and as with Patrick Stewart and Ian McKellen’s appearance as the elder Xavier and Magneto (respectively), is key to the story. There are of course many cameos from X-Men past and present (some surprising, some not so much) and to name-check everyone would probably require a post of its own. Despite the film’s darker themes there’s still a healthy dose of fun and humour, mainly via those sequences where Wolverine, Xavier and Beast (Hoult) team up with Quicksilver to ‘liberate’ an imprisoned Magneto. There are also numerous pleasing nods and winks to the X-Men universe that will provide fans with endless delight. The film’s exciting climax is a showdown of epic proportions (and oddly reminiscent of Iron Man 2) that provides dramatic as well as visual punch, wisely saving the best of the film’s action until last. DoFP is a HUGE film in terms of casting, design and narrative scope and luckily Bryan Singer (already attached to X-Men: Apocalypse, due for release in 2016) once again proves his abilities to handle such a production with skill and precision. It’s a welcome and triumphant return for the director who seems to have fallen from grace since his decision to exit the franchise in favour of helming the divisive Superman Returns. So, is DoFP the best X-Men film yet? Well, no, whilst it may sit comfortably more-or-less on equal footing with First Class, X2 easily still wears that crown. Those expecting an indisputable rectification of continuity errors between the original X-Men and the Frist Class universes may be disappointed that DoFP raises more questions than it answers but the end result is an effective marriage of dramatic, cerebral storytelling with strong cast performances and epic action set-pieces that points to a bright future for X-Men on the big screen. The bottom line: With Days of Future Past, the X-Men film franchise continues to prove its worth amongst the current slew of comic book blockbusters. It’s a pleasing and bold entry in the series that will raise anticipation for future instalments. X-Men: Days of Future Past is in cinemas now. What are your thoughts on X-Men: Days of Future Past? Leave your spoiler-free comments below! X-cellent entertainment from 20th Century Fox with ‘X-Men: Days of Future Past’. Arriving sixteen years after Hollywood’s last attempt at bringing Japan’s (arguably) most iconic creation to the global masses, 2014’s Godzilla thankfully avoids the many pitfalls of Roland Emmerich’s Jurassic Park cash-in. This version is an exciting and often surprising interpretation that manages to stay firmly faithful (and respectful) to the history of the infamous monster. I say that it often surprises, mainly for the fact that Gareth Edward’s film may have the elements of a crowd-pleasing blockbuster yet to simply label it as such would do it a disservice. Indeed there is awesome spectacle and incredible special effects that bring the blockbuster moments to life (worthy of the extra cost of an IMAX ticket, although don’t expect any ground-breaking use of 3D), yet Godzilla is paced more slowly than you might have anticipated – teasing the reveal of cinema’s ‘King of the Monsters’ through glimpses of grainy historic footage and quick cuts to live news coverage. This slow-burn approach feels right and appropriate for what is clearly intended as an origin story and proof that handling a Hollywood production in such a manner can be just as effective as your average – often breakneck paced – franchise behemoth. Think more along the lines of Alien and Predator here than, say, Transformers. As with Ishiro Honda’s 1954 film (and its many sequels), the story is largely told from a human perspective that provides a decent enough emotional core that’s not quite as satisfying as Super 8 (for example) but manages to hold interest between those monstrous large-scale set-pieces. Breaking Bad’s Bryan Cranston amazes in the role of grieving father/disgraced scientist, demanding the audience’s attention with every line felt as well as heard. Batman Begins and Inception star Ken Watanabe also delivers another believable character, Aaron Taylor-Johnson is less of a draw as Cranston’s son, yet via the film’s script delivers a refreshingly grounded take on the clichéd ‘military man’ (thankfully there’s no gung-ho Team America-esque characterisation here). Elizabeth Olsen is given little to do beyond standard doting wife/devoted mother fare but between herself and Johnson (as I’ve said) there is enough character depth and emotional resonance to carry things forward. 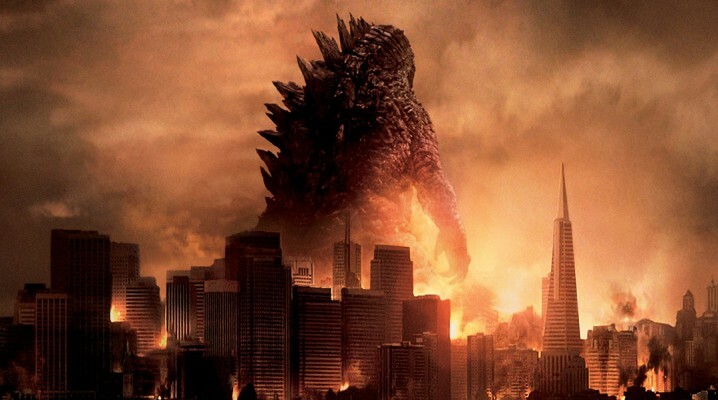 It’s worth noting that much as the original film was born out of Japan’s nuclear fears (and more pertinently the scars of World War II), the new Godzilla wisely upholds those fears whilst tapping into the post-9/11 zeitgeist with dashes of ecological commentary as the film’s characters deal with tsunamis and nuclear meltdowns. With Monsters, Gareth Edwards proved more than adept with balancing story, character and spectacle and repeats that on a much larger scale with Godzilla without becoming overwhelmed amongst the film’s massive and destructive set-pieces, keeping the visuals fluid and steady. Of course I couldn’t end this review without commenting on Godzilla himself. In another wise creative move that sets this film a world apart from the 1998 version is the creature design, which remains largely faithful to the original, iconic, rubber suit. In fact you could easily argue that this is the best looking Godzilla design ever, the intricacies of every tiny detail allowed by the use of big budget CGI simply cannot be rivalled. The bottom line: With a healthy blend of grand visuals, some decent social commentary and emotional resonance, Godzilla is a monster of a hit that lays the path for a promising new iteration of the franchise. What are your thoughts on Godzilla? Leave your spoiler-free comments below! Cinema’s ‘King of the Monsters’ returns successfully in Warner Bros’ ‘Godzilla’. As Agents of S.H.I.E.L.D. begins hurtling towards its first season finale (and renewal for a second looking likely), it continues to maintain the upswing in quality which has steadily been gathering momentum since the show’s return from hiatus. The aftershocks of recent big screen smash Captain America: The Winter Soldier (read the GBUK review here) are well and truly felt and AoS finally begins to hit the ground running and start fulfilling its potential. “Providence” opens with Coulson and his team still reeling from Hydra’s decimation of S.H.I.E.L.D. facilitating a much needed sense of purpose the series has sorely been lacking and presents scenarios that continues to define its main characters and their relationships. Notably – and much like the show itself – Skye has a new sense of direction with her commitment to the cause of S.H.I.E.L.D. (even as the organisation crumbles around her and the rest of the team) and the recent revelations of May’s deceptions causes a rift within the team, allowing some wonderfully played and tense scenes between her and Coulson who pulls no punches on his feelings about her ‘betrayal’. Brett Dalton is given more meat to chew on as (much like Skye) viewer’s perceptions of Agent Ward are shook up as we learn that it is he who is the traitor amongst the team. This considered he still remains one of the show’s weaker characters but maybe this will be a chance to redefine him? On the whole, the characters have grown and raising the stakes has added a sense of urgency which is providing the series with an edge via nifty plot twists, dramatic tensions and scintillating action. In terms of guest stars this episode, Heroes star Adrian Pasdair makes a brief but significant entrance as Colonel Glenn Talbot whilst the legendary Bill Paxton makes a more than welcome return as the (now) devious John Garrett and Patton Oswalt provides an enjoyable turn as Eric Koenig, the very Whedon-esque quirky caretaker of the ‘hush hush’ S.H.I.E.L.D. installation the episode’s title is derived from. The weakest link has to be B.J. Britt whose Antoine Triplett who is proving rather flat and one-dimensional, despite attempts to build a love interest for Simmons. Once again, though, Clark Gregg is rightfully the focal point and main draw of the series which simply couldn’t endure (or arguably, exist) without him – let’s hope we see a return of Coulson’s appearances on the big screen in future offerings from Marvel Studios. I’m glad AoS is still on the air but the real question now is can the show’s creative powers continue to fulfil their ambitions and deliver consistently exciting live-action comic book entertainment? I wouldn’t ever expect it to be ground breaking in the same vein as 24 or Battlestar Galactica, but if it satisfies the hunger for more Marvel excitement between big screen releases then I’m all for it. The bottom line: Agents of S.H.I.E.L.D. is beginning to shape-up and points to a potentially exciting future for Marvel’s presence on the small screen. 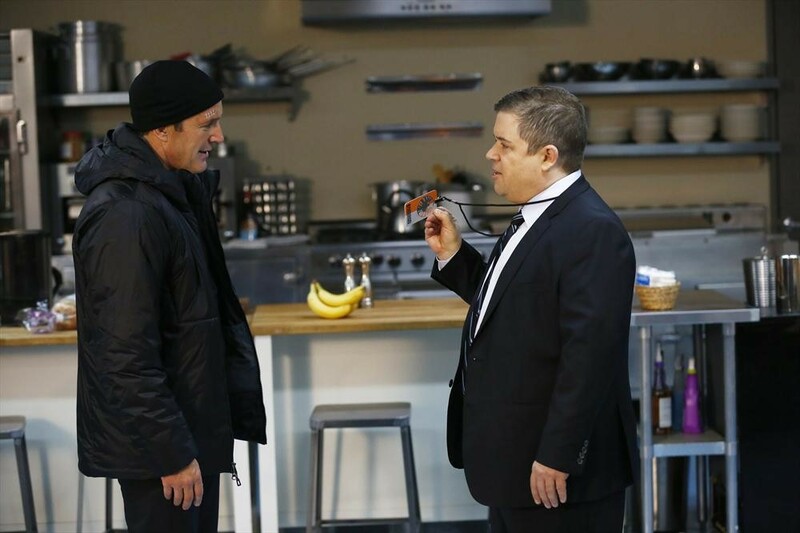 What did you think of Agents of S.H.I.E.L.D. “Providence”? Share your thoughts below! ‘Marvel’s Agents of S.H.I.E.L.D.’ continues to show signs of improvement in “Providence”.